In many parts of the country, farm-to-table dining—the idea of a chef cooking the freshest, most seasonal local ingredients that he procured from a farmer himself—is still just taking off. In Seattle, though, it’s not so much a trend as a way of life. We live in a place surrounded by water, farmland and forest: The ideal position to be in for the very best produce and proteins. Pike Place Market is not just a tourist destination. It’s a daily destination for many of the city’s top chefs, who shop the morning market for what will show up on that evening’s dinner menu. 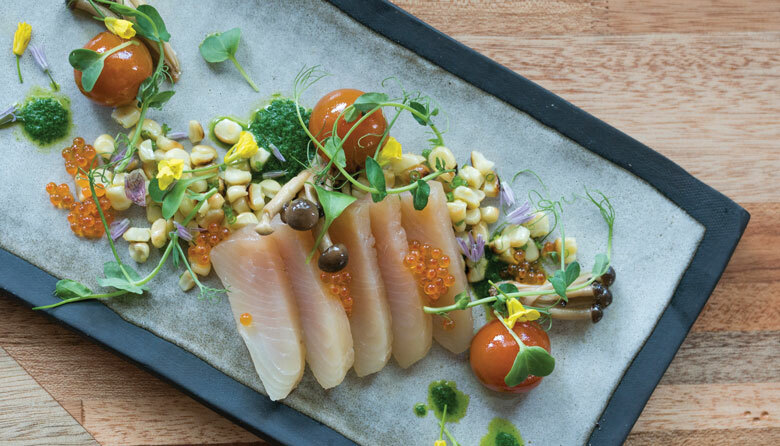 To dine at a farm-to-table restaurant is to experience the bounty of what Seattle—and the surrounding area—has to offer. But it’s important to go with an open mind. It also means trying things, like fiddlehead ferns and geoduck, which you may not have eaten before. And it means that menus change not just seasonally, but weekly or daily, and your favorite dish may not always be available. There’s perhaps no more obvious example of farm-to-table dining than the Herbfarm in Woodinville, named after the garden on the original property in Fall City operated by the owner’s parents. There is an on-site garden abundant with herbs and produce guests are invited to tour prior to dinner. The dining room is of French country-style, with a décor featuring hundreds of artifacts from the owners’ travels around the world. The food itself is revolutionary—nine-course tasting menus ($205-$265, including 5 or 6 wine pairings) only, with changing themes every two to four weeks like January’s Truffle Treasure, dedicated to dishes that highlight wild Pacific Northwest truffles, or May’s Salmon Nation, which pays tribute to our favorite local fish. 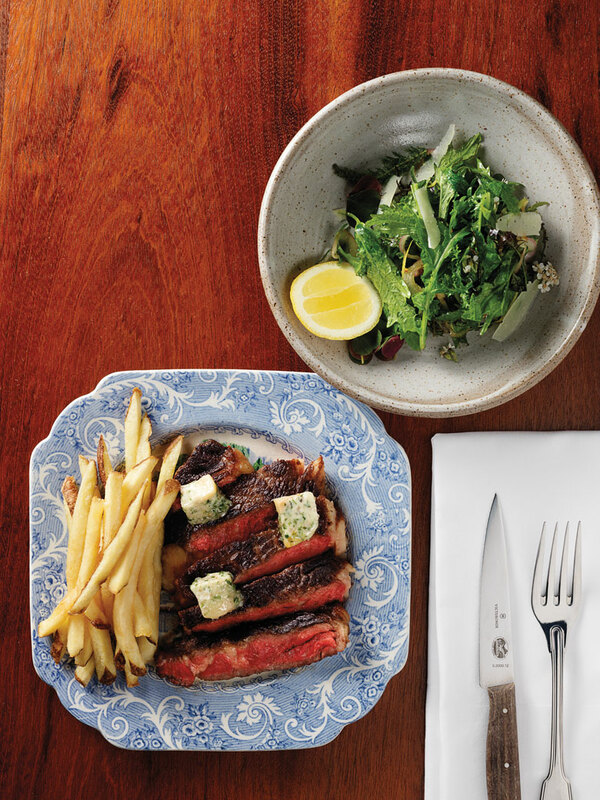 Chef Chris Weber and his team introduce each dish and give you its backstory, making the meal a four-hour adventure. 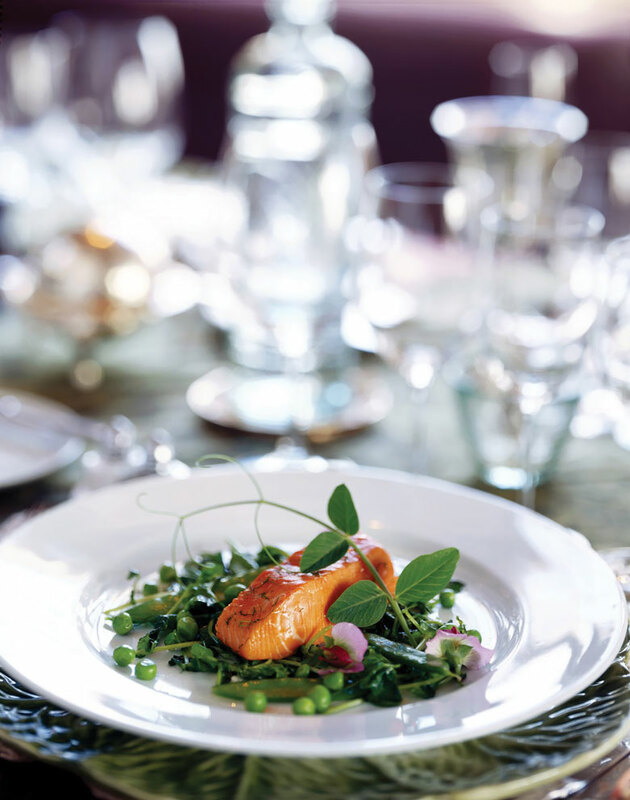 The best time to visit for optimum seasonality is the annual 100-Mile Dinner in August, where every ingredient—down to the grains of salt—on the plate is sourced from within 100 miles of the restaurant. Reservations are required, well in advance, and opt to sit at the communal table to make new friends while you eat. It’s a special kind of tasting menu that captivates from the first bite and suspends you through the last spoonful of dessert. It’s no easy feat; seven courses ($125, plus $75 for wine pairings) can be punishing when flavors are too bold or too bland, pacing is too fast or too slow. But even Goldilocks would love an Art of the Table tasting menu. Located on the south end of Stone Way in the buzzy strip that includes Joule, The Whale Wins and Manolin. It’s just blocks from the quirky former spot it inhabited for 10 years (that now holds Kamonegi). Ronspies has long been a champion of farm-to-table dining, building close relationships with the people who grow food for his restaurant and, in turn, having unparalleled access to the best local spot prawns, foie gras, black cod, foraged mushrooms and cheese. If you want to stop by for a more casual experience, sit in the back lounge area and order an excellent cocktail, plus some plates to share from the a la carte menu. Chef Maria Hines has earned top awards from the James Beard Foundation and Food & Wine Magazine—she’s a staple in Seattle’s old guard of applauded chefs. 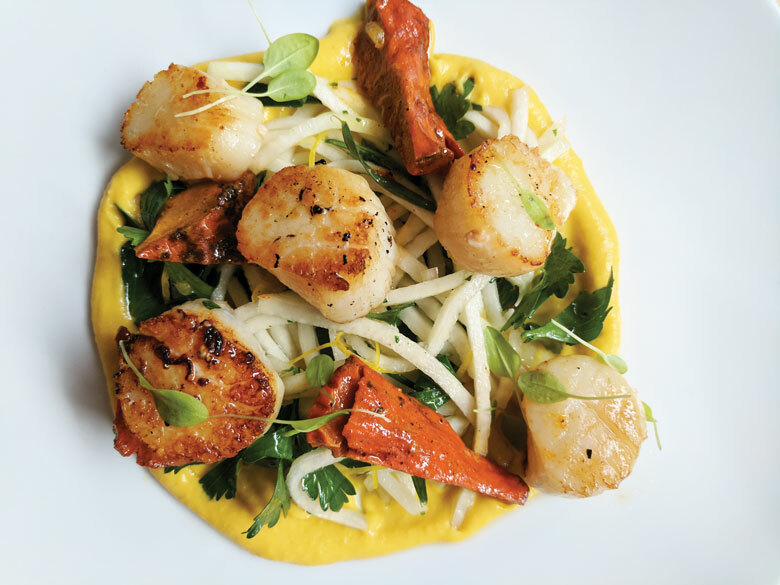 Her restaurant Tilth, housed in a Craftsman bungalow, is certified organic, and has been priding itself on local, sustainable, seasonal cooking for more than a decade. Rotating tasting menus are available in a variety of food specification (general tasting $85-$105 and vegetarian tasting $80-$100). Options are available for vegans and gluten-free diners as well. Servers are well informed and happy to guide you towards recommendations if you wish to build your own meal from individual plates as well. Even brunch, with soft French omelets and sourdough waffles, is wonderful and understated. Capitol Hill, 1040 E Union St.; 206.900.8699; restaurantbateau.comWhen you think “farm-to-table,” most likely it conjures up images of farmers with baskets full of fresh produce. But at prominent Seattle chef Renee Erickson’s Bateau, farm-to-table refers also to the beef that covers nearly every diner’s plate. Bateau is a steakhouse, but not a traditional one—yes, there are dry-aged ribeyes and petite filet mignons, but there are also lesser-known cuts of meat from parts of the cow that many old school steakhouses don’t use. A chalkboard menu spells out what cuts (and what farms the cows are from) and how much, and as they get ordered and gobbled, servers cross out what is no longer available. Choose something from La Ferme Des Anes, Erickson’s own Whidbey Island farm, where she raises cattle and grows vegetables that show up among the side dishes. The burger—best eaten at one of the few bar stools if you’re dining solo—is exceptional. Owner Adria Shimada launched this adorable dessert shop as a truck, which you can still see in summer months at local farmers markets. But year-round, you can find her made-from-scratch ice cream in Ballard, where you can order it by the scoop or the pint, or made into ice cream sandwiches. Recently Adria has added many other new things to the menu like Shakes and dip bites. Unlike most ice cream companies, even the bigger name local ones, Shimada makes the base custard for her ice creams from scratch, with farm-fresh, cage-free eggs and local organic cream. Fruit, from strawberries to Meyer lemons, comes from well-known farms in the area, and the chocolate comes from Theo Chocolate made just a few miles away. 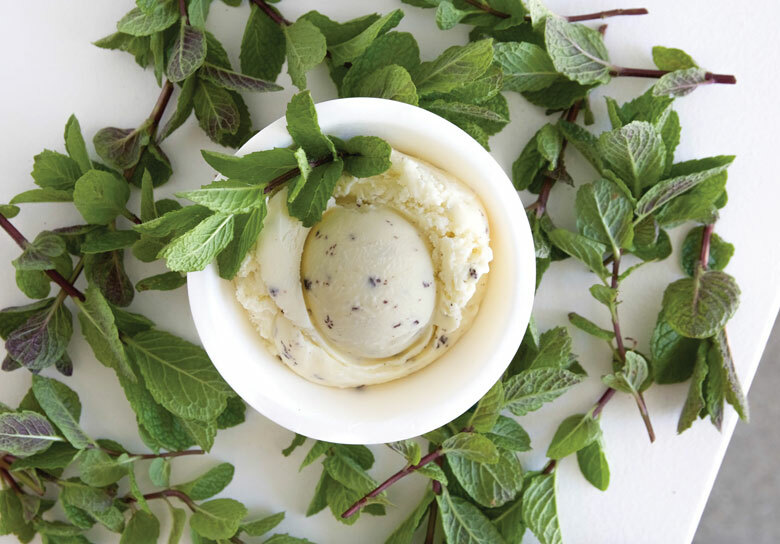 But the most precious feature is the herb-and-berry garden just outside the shop—the spearmint leaves go directly into Shimada’s amazing interpretation of mint chocolate chip. These lovely ice cream are also available at top groceries throughout the Puget Sound like PCC Markets, Metropolitan Markets, Town and Country Markets, etc. As Seattle’s population has grown and diversified, so too has our options for really great food from all over the world. And it’s not just in the form of local mom-and-pop shops. Popular chains from Asia have been setting up shop in the Seattle area—with great success. Both branches of this Taiwanese chain are bright, modern and filled to the gills with serve-yourself pastries from taro buns to savory breads, plus stunning cakes. The lines are long, but worth the wait. Another Taiwanese dessert shop, this Edmonds café specializes in elaborate sundaes made with crushed ice, grass jelly, beans, taro, mocha and more. Bring a friend—you’ll need a partner to share with. The most prolific of the Asian restaurant imports here is everyone’s favorite place for xiao long bao—the whole menu is excellent—now with four locations in the Seattle area (and still a wait at peak hours for all). Lincoln Square’s impressive new expansion includes many new restaurants, including this place (owned and operated by the Baron’s Hotel Group, with hotels throughout Asia) specializing in the bold flavors from Mainland China. This very newly opened yakiniku (Japanese style do-it-yourself barbecue) place has locations throughout Japan, Canada and other parts of the U.S. The best value is to order one of the set meals, which include various meat cuts, sides and dessert. Though Japanese in name and spirit, this fantastic new ramen spot is actually having about a dozen outposts in Hong Kong. There are only two soup options: one with a prawn miso broth, and the other with Hakata-style rich pork bone broth.